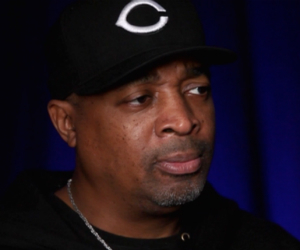 Can Chuck D still be considered a Public Enemy? The rebellious, outspoken rapper, orator is having a stellar year so far! Carlton Douglas Ridenhour aka Chuck D, was inducted into the Rock and Roll Hall of Fame this year with his group, Public Enemy. Now, he is receiving an honorary doctorate from his alma mater, Adelphi University. The rapping activist, who has spoken against racial injustices and professes his pro-black stance on record, attended the school from 1978 until 1984 and graduated with a Bachelor of Fine Arts Degree. He and his group, Public Enemy, became a Hip-Hop mainstay shortly after that. He will also speak at the 117th commencement at Adelphi University on May 19th. BIG CED, co-founder and owner of TheIndustryCosign.com, has created a strong community on the web that caters to all facets of the entertainment industry. While some may know him for being an excellent journalist, he is truly known for always speaking his mind. Nevertheless, BIG CED is definitely an influential force in the world of entertainment.